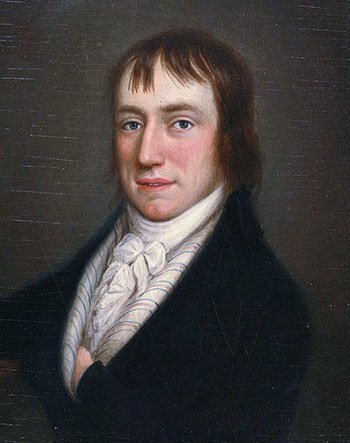 Active in late eighteenth and first half of the nineteenth century, William Wordsworth was an English poet who, along with Samuel Taylor Coleridge, launched the English Romantic movement in literature and changed the course of English poetry. After struggling in the initial phase of his career, Wordsworth had become one of the most renowned poets in his later years and was appointed Poet Laureate of Britain in 1843. Know about the family, life, career, works and death of William Wordsworth through these 10 interesting facts. William Wordsworth was born on 7th April 1770 in a large mansion known as Wordsworth House in Cockermouth, Cumbria County, North West England. He was the second of five children of John Wordsworth and his wife Ann Cookson. John Wordsworth was a legal representative of James Lowther, 1st Earl of Lonsdale. 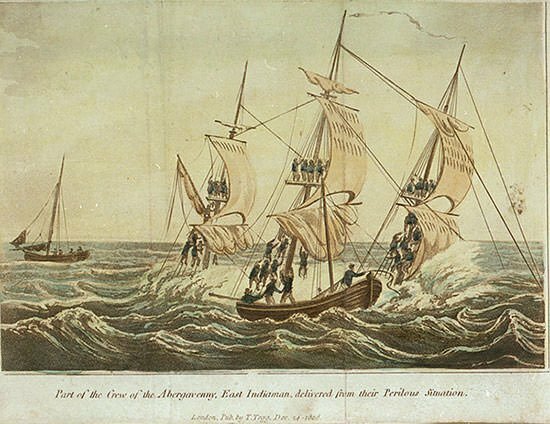 William’s siblings were Richard, the eldest, who became a lawyer; Dorothy, an author, poet and diarist; John, captain of the ship Earl of Abergavenny which was wrecked in February 1805 causing his death which devastated William; and Christopher, the youngest, who became Master of Trinity College, Cambridge. John Wordsworth had little involvement with his children but he did introduce young William to poetry, including that of Milton, Shakespeare and Spenser. William attended a small school in Cockermouth and Ann Birkett’s school at Penrith, where his maternal grandparents resided. William’s mother Ann died in March 1778 when he was seven years old. He was sent to live with his mother’s family and the following year he began attending Hawkshead Grammar School in Lancashire. John Wordsworth died in December 1783 when William was thirteen years old. In 1787, William Wordsworth entered St. John’s College of the University of Cambridge. He did not excel there, but managed to graduate in 1791. 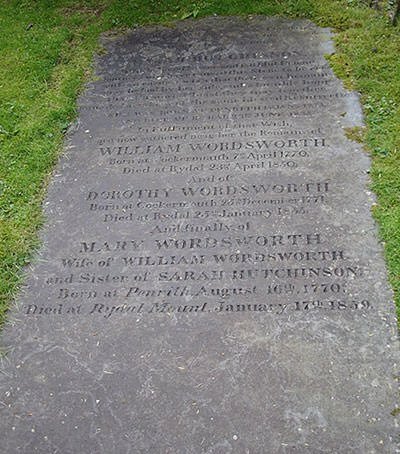 William Wordsworth had a close relationship with his siblings, especially with his sister Dorothy Wordsworth. After the death of their mother, William and Dorothy were sent to live with different relatives and didn’t see each other for 9 years. They were reunited in 1787 and from 1795 became inseparable companions. Dorothy didn’t marry and lived with William. She was a poet and diarist. 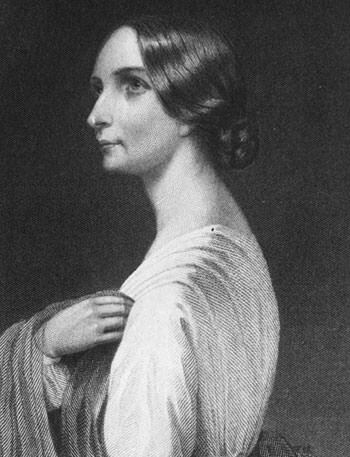 Though she didn’t have ambitions to be a renowned writer, her work was examined later by critics and she is known for her poetic and vivid descriptions of scenes. Dorothy is considered by some to be vital to William’s success and he often borrowed from her journals which contained detailed accounts of nature scenes. In 1791, while visiting France during the early French Revolution, Wordsworth fell in love with a French woman named Annette Vallon. The couple had a daughter in December 1792, but before that Wordsworth had to return to England and couldn’t come back due to outbreak of war between England and France. In 1802, Wordsworth travelled to France to visit Annette and to see for the first time his daughter Caroline. Later, Wordsworth wrote the famous sonnet “It is a beauteous evening, calm and free”, recalling a seaside walk with his 9-year-old daughter Caroline. A purpose of Wordsworth’s visit to Annette was to prepare her for his forthcoming marriage to Mary Hutchinson. 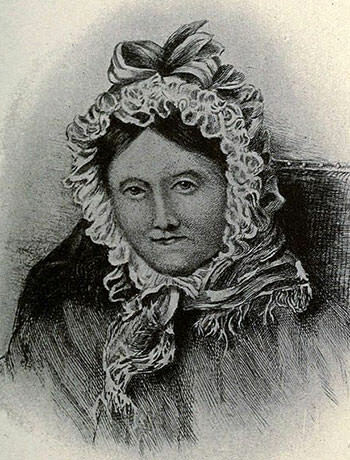 Mary was a childhood friend of Wordsworth who had known him since they attended school together at Penrith. William Wordsworth married Mary Hutchinson on October 4, 1802. The couple had three sons and two daughters, John (1803), Dora (1804), Thomas (1806), Catherine (1808) and William (1810). However three of their five children, Thomas (1812), Catherine (1812) and Dora (1847), died before them. Several of Wordsworth’s poems show heartfelt laments for the loss of two of his children who died in 1812 and he completely gave up writing new material after his beloved daughter Dora died at the age of 42 in 1847. The first half of the 1790s was a dark period for William Wordsworth. He was unprepared for job and nearly penniless. In 1795, however, he received a legacy of 900 pounds from a friend named Raisley Calvert. This allowed him to pursue a career as poet and to move in 1795, along with his beloved sister Dorothy, to Alfoxton House, Somerset. 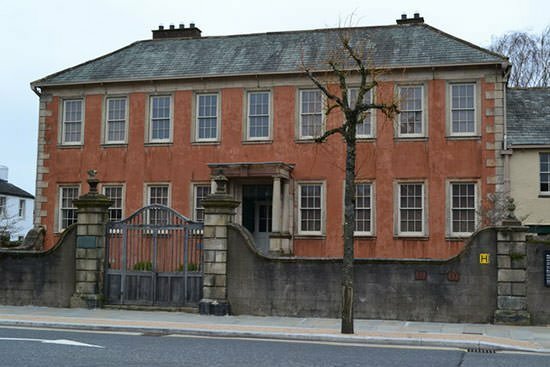 This house was just a few miles from the residence of Samuel Taylor Coleridge, who William had met a couple of years ago. Wordsworth and Coleridge formed a close friendship and their partnership changed the course of English poetry. 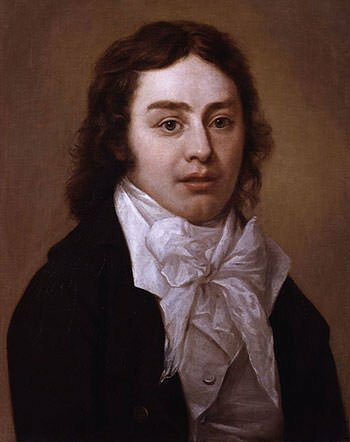 In the year 1797, Wordsworth and Coleridge, with insights from Dorothy, broke the decorum of neoclassical verse with daring original poetic works. The following year their collection of poetry Lyrical Ballads was published. Though the immediate reaction to Lyrical Ballads was modest, it is now considered a landmark work which changed the course of English literature and poetry. It launched the influential English Romantic movement in literature characterized by its emphasis on emotion and glorification of nature. From 1799 to 1808, Wordsworth lived at the Dove Cottage in the village of Grasmere in the Lake District of England. Here he became friends with another prominent poet of the generation Robert Southey. Wordsworth, Coleridge and Southey were the three main figures of the group known as Lake Poets as they all lived in the Lake District. The years 1797 to 1808 are now recognized as the best years of Wordsworth known as his Great Decade. During this time, he wrote some of his most famous poems including Tintern Abbey, Ode: Intimations of Immortality, Daffodils and parts of his autobiographical epic, The Prelude. 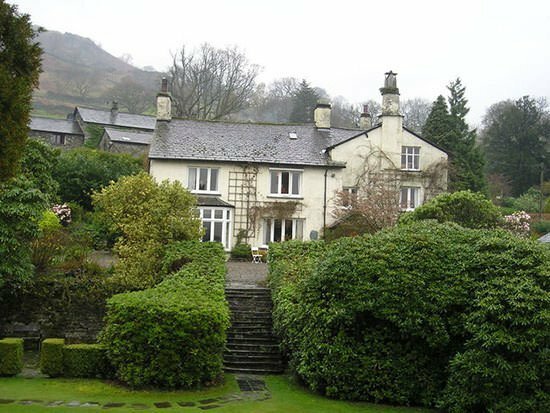 In 1813, William Wordsworth and his family including Dorothy moved to Rydal Mount in the town of Ambleside in Cumbria. Here he spent the rest of his life. By 1820, Wordsworth was enjoying considerable success and his reputation continued to grow. He received honorary degrees from Durham (1838) and Oxford (1839). In 1843, following the death of his friend Robert Southey, William Wordsworth was appointed Poet Laureate of the United Kingdom. He initially refused the offer saying he was too old but British P.M. Robert Peel assured him that “you shall have nothing required of you”. Wordsworth was poet laureate till his death in 1850 and is the only one to write no official verses. William Wordsworth died on 23rd April 1850 at his home Rydal Mount from an aggravated case of pleurisy. He was 80 years old. 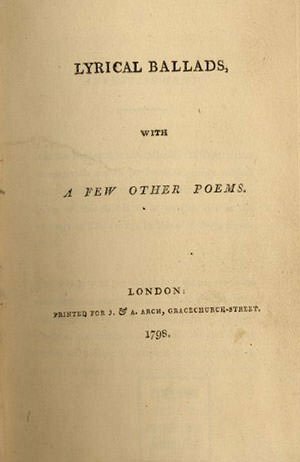 Wordsworth’s autobiographical poem, containing extremely personal details of his life and on which he worked since 1798, The Prelude, was published three months after his death. The Prelude is widely regarded by critics as Wordsworth’s greatest work though his most popular poem is perhaps ‘I Wandered Lonely as a Cloud’, commonly known as Daffodils. William Wordsworth was the central figure in the English Romantic revolution in poetry and is considered one of the greatest poets in English literature. In 1792, while he was in revolutionary Paris, Wordsworth became acquainted with the famous English traveller and philosopher John Stewart, popularly known as ‘Walking’ Stewart. He is said to have travelled on foot alone from India through Persia, Abyssinia, Arabia and Africa, and every European country as far east as Russia. William Wordsworth later described Stewart as the most eloquent man on the subject of Nature he had ever met. Some scholars consider that many of Wordsworth’s philosophical sentiments may be indebted to Walking Stewart.